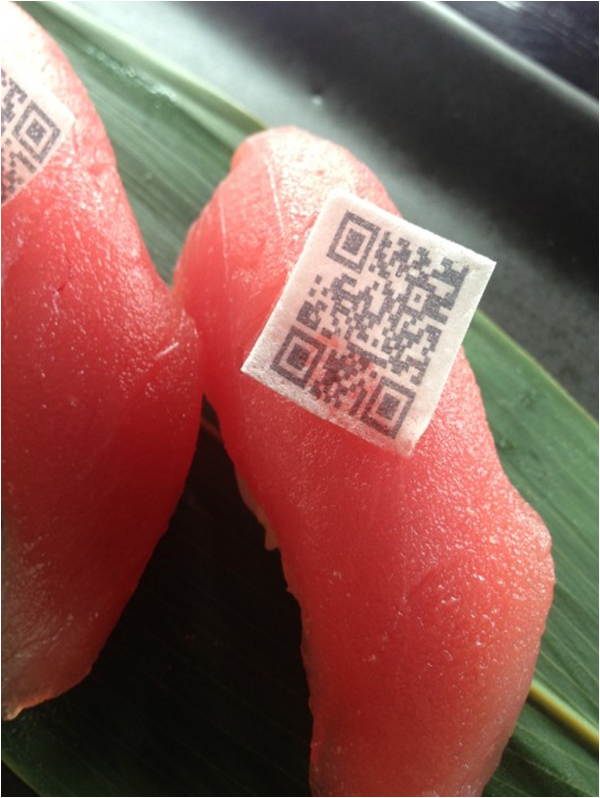 A San Diego sushi restaurant started placing edible QR Code made out of rice paper on their menu items. The codes generated buzz for the restaurant and support for sustainable fishing practices. QR Codes to stop fraud. Using wine manufacturing as an example, one expert points out that having unique QR Codes on each bottle would allow producers and law enforcement to immediately pinpoint any fakes. The International Gemological Institute now creates QR Codes for every piece of jewelry they certify. This allows shoppers to get a full report on a gem instantly, rather than waiting for a hard copy to come in. Rather than erecting a new library, an Austrian city chose to get a QR Code generator and put the library around town. The codes are placed in interesting locations and lead to online versions of public domain works. An activist group wanted to get more people walking in their city, so they created signs with walking times to nearby landmarks. The signs include QR Codes that give simple directions to the location. A Texas PR firm has begun advertising with massive QR Codes on rooftops. The codes are easily seen on Google Earth and other satellite mapping programs. 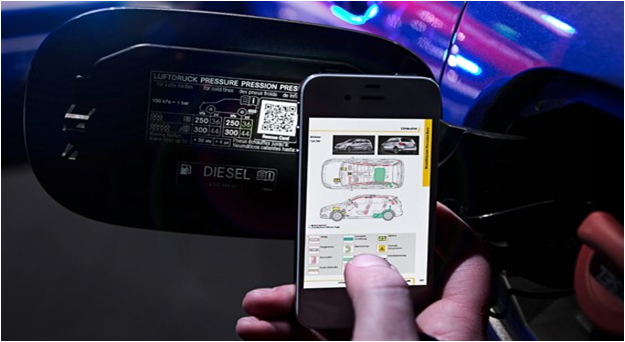 Mercedes-Benz will begin using QR Codes to help rescue personnel know where to cut into wrecked cars. The codes will deliver specific and up to date information on that model saving precious time in emergency situations. The TimeStation app uses QR Codes to let employees clock in and clock out with a personalized QR Code. No other hardware needed! Briggs and Straton has begun labeling their engines with QR Codes. Never again will you be frantically searching for the operation manual in a sticky situation. File this one under “weird.” These onesies are covered in codes that lead to bedtime stories. It’s odd, but maybe you never need to pack another book for those long trips – plus new books can be “published” any time. It’s amazing what a QR Code creator and human brain can accomplish. We hope these examples inspire you to take your brand’s mobile engagement to the next level. Feel free to contact us at sales@scanlife.com if you’d like to learn more about the ways ScanLife can make it happen. One Response for "Innovative Uses of QR Codes – QR Codes Done Right"